Pope Benedict has declared Blessed Charles of Mount Argus a saint at a mass this morning in a rain-drenched St Peter's Square. The pontiff also canonised two priests from Malta and Poland, and a French nun. Saint Charles was a Dutch immigrant to Ireland and a champion of the post-famine poor. President Mary McAleese and her husband Martin led about a thousand Irish pilgrims at the mass. Cardinal Desmond Connell led the Irish bishops at the ceremony, which was also attended by the Minister for Education, Mary Hanafin. 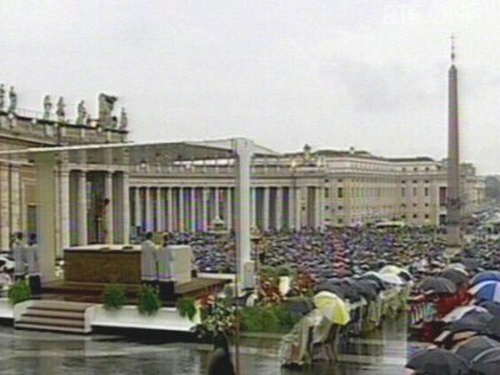 This was the fourth canonisation ceremony held by the pope since he took over the pontificate.